Our Stage One recipes are designed for babies from 4 to 6 months old. These will start to introduce flavour and vegetables with a smooth consistency. Our Stage Two pouches are perfect for babies around the 7 month mark. 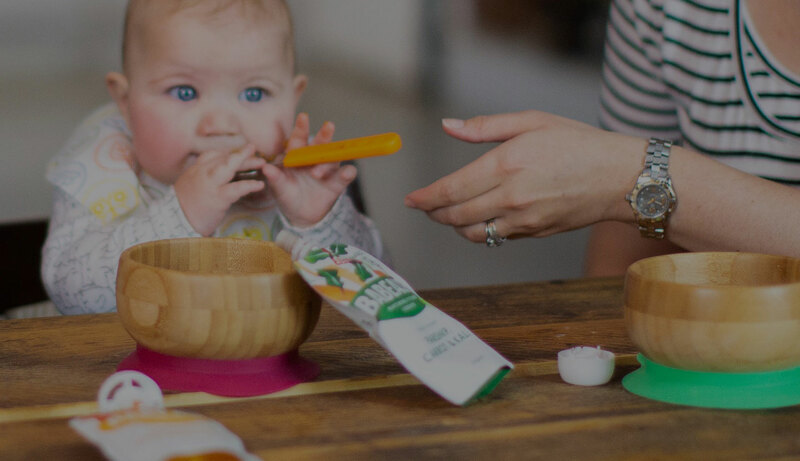 Each recipe has been designed to introduce rich and diverse flavour and interesting texture to baby’s palette teaching them how to use their chewing muscles and maybe even a tooth or two. From 10 months on, your baby is ready to start enjoying bigger bites of soft foods. Our Stage Three pouches are great alongside finger food and get your little one ready for the flavours on your plate too. Finger Foods form part of our Stage 2 range, and are perfect for babies of 7 months and up. Finger Foods are a super important part of introducing solid foods. They help to encourage self-feeding, as well as supporting your little one to develop their hand-eye co-ordiantion!